Imagine walking up to your new home, turning the key, and entering a space that is designed just for you. Older homes often need renovations; it might be a 1970’s kitchen, rusty bathroom fixtures or not enough bedrooms. After the hassle of a move, it is hard to get excited about the extra money and time a renovation project can bring. A new build will move your DIY days well into the future. In real estate circles, when they describe a property as having character, that usually means wood paneling and green shag carpets. A new build offers extensive choices in the colour and style of your home. You can hand pick the colour of your bedroom walls, the type of countertop and decide whether you want stainless steel appliances. Not sure of your artistic abilities? They often have an interior design team to help you create your dream home. With an existing home, everything is in different stages of repair. They advertise a new kitchen, but did they mention the roof is 20 years old? One bad storm, and your insurance will not cover that aged roof. With a new build, you can be confident nothing is old or in need of repair. Everything from your shingles to your basement is brand new. As well, the design, all the appliances and countertops are in contemporary styles that will hold their value for years to come. With an existing home, it’s buyer beware. Sometimes, home sellers will put a fresh coat of paint on the ceiling to cover a roof leak. As the new owner, you have little recourse.With new construction, not only will all your appliances come with warranties, but builders also offer a warranty on the entire construction. If you have any new house hiccups, you are covered. With the same budget you would spend on an older home, you could have a home that is fully covered and will maintain its value for years to come. Older homes carry unseen dangers like mold, lead paint and asbestos. Technology is rapidly advancing in the home building trades and efficiency and safety are paramount. You can be confident your builder is using the newest, tried and tested materials and systems. Your new home will be more energy efficient and environmentally friendly than an older home. One of the most important factors when purchasing your home is location. With an existing home, you might need to compromise on your location to get the size you need. 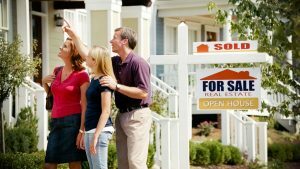 Do you need to be near schools and shopping? New builders are working closely with land developers to create communities rather than just a row of houses. Green spaces, schooling, shopping, transportation and walking trails are all becoming expected. As such, new home buyers have greater choice than ever before. You can decide your view, side of the street (morning or afternoon sun) and proximity to schools and parks. Funding a new build is different from traditional mortgages. 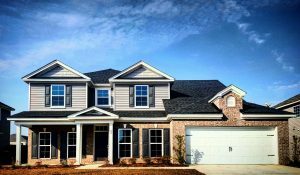 Most builders offer financing options within their packages. This offers you one-stop shopping. You will know in advance what you can borrow, before you get your heart set on the walk-in shower. They are experts in the field of financing new builds and will counsel you in all of your options. In an existing home, you have no confidence that the wiring was not Bob’s DIY project. New home builders hire only the best journeymen to construct your house from start to finish. Another benefit is that you can choose from multiple floor plans, each of which has been crafted by professionals. These floor plans are well designed, unlike existing homes with interesting quirks. There are no hallways that lead nowhere or impossible kitchens where the dishwasher door hits the opposite wall. Choice, Choice, Choice – Possibly the best reason to choose a new build over an existing home is choice. You decide the number of rooms and bathrooms that your family needs. Do you need an office, garage, extra family room? That is all up to you. No need to be “satisfied” with what is available on the market at the time. You are in the driver’s seat. The choice is yours. Get out there and meet some builders and see how possible it is for you to have your dream home! Today’s low interest rates are helping home buyers find affordable housing options. But, it’s important to keep in mind that interest rates are sensitive to market forces and can change quickly. Even a slight rate increase can push monthly payments to the point that a buyer might miss out on their first choice for a new home.